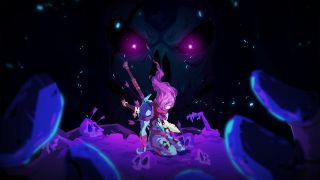 Dead Cells is getting some free DLC this month, beckoning masochists back to its death-filled rooms. Rise of the Giant will let you continue your fight in a new location, the Cavern, which you'll only gain access to once you beat the game. Inside, you'll find new enemies, another boss and probably more deaths than you could possibly keep track of in your head. The Cavern will be filled with welcoming features, including toasty lava pools, while ten new enemy types will be waiting to give you a lovely hug. Not all of them will be in the Cavern, though, so expect to find them wandering around earlier levels on the hard difficulty and beyond. Once you've beaten the denizens of the Cavern into submission, you might want to try and find the new hidden level. Developer Motion Twin warns that it's for very advanced and skilled players, but if you're able to take down the hidden boss, expect a brand new ending. Ten new skills, including a flying pet, will hopefully give you the edge you need. They'll be accompanied by ten new weapons, like the appropriately named Giant Killer. I don't know about you lot, but I need all the help I can get. I've yet to beat the game, but it's beaten me plenty of times. I keep going back, however, because gosh it's good. There's a reason we called it the best roguelike of 2018. All of this is coming for free on March 28. Take a gander at the patch notes.